Are you hoping that when your kids are in school full-time that you'll have more time for practice? Are you wondering what to expect for work when your children are older? Today on the podcast, we're talking about how motherhood affects your life and practice no matter what phase of motherhood you are in. Why motherhood requires more than just temporary change in your practice. How your schedule may be effected when you have teenagers instead of babies. That adding more children to your family requires a different approach to how you practice. Expecting a new baby soon and not sure what that means for how your practice will change? Wondering what you can do right now to prepare your practice for motherhood? Today on the podcast, we're talking what to do to prepare your practice when you are expecting a baby. Why it's so important for you to embrace the unknown in this phase of your life. What you need to start thinking about now if you're planning to start a family. Why it's ok to make changes in your practice when you need to. Wondering what you can do right now to prepare your practice for pregnancy and motherhood? How to decide when to share with your patients that you're family is growing. The most easily overlooked thing to be doing now to prepare for growth in your family. Why making changes in your practice is actually not as big of a deal as you might be afraid that it is. Do you make time to review your practice's status each quarter? Would you even know what information to look at if you did make the time for it?! Today on the podcast, we're talking about how to review the first quarter. Why taking time to slow down and review your business actually helps it grow faster. What statistics to be looking at for your practice during your quarterly review. 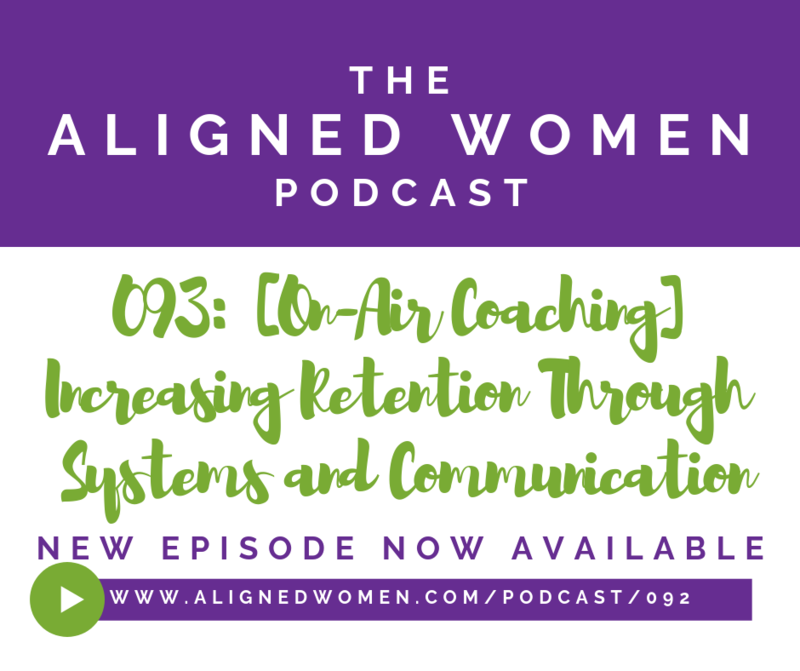 092: [On-Air Coaching] What if Raising My Fees Costs Me Patients? Do you feel like you need to spend way more time with your patients than makes sense with your schedule? But you're afraid if you don't, they won't see the value in your care? Do you struggle around raising your fees because you fear losing patients? Today on the podcast, we're talking with Dr. Julie Potter about recognizing her own worth and creating a pricing structure and schedule that reflects it. How by giving her patients “everything” and providing long appointments at a low cost, she has placed a ceiling on her earnings. How to create change that honors your values, but doesn’t drive away patients. Do you know who you really want to focus on serving in your practice but aren't sure how to attract that target market? Besides midwives and doulas, are you all out of ideas on who to build relationships with to grow your practice? Today on the podcast, we're talking about attracting more of your ideal patients. Why you really need to deeply understand the mindset of your ideal patient. Who you should be building relationships to help build your practice--especially if you want to care for more moms. How to set boundaries in your practice about the types of patients that you do and don't accept. 090: [On-Air Coaching] How Should I Set My Fees To Be Competitive With Other Offices? Have you ever worried that you were charging too much in your office? Do you know that other chiropractors around you are charging less and you're not sure what to do? If you answered YES to either of those, then this episode will set you at ease! Today on the podcast, we're talking about how to set your fees to be competitive with other offices. Why you don't need to be concerned about what other offices nearby are charging for their care. How to intentionally design your fee schedule so that you can have both time freedom AND financial freedom. What the key points are for evaluating your office fees, yearly revenue goal, and even time off from work. Find yourself stressed when the winter weather means lots of cancellations? Ever worry a tad too much when you have a slow week? If you've been through these feelings, this week's conversation will help! Today on the podcast, we're talking about the realities of the practice growth curve. Why it's unrealistic to expect that your practice will grow week after week. What IS healthy to expect of you and your practice. What to do when your practice slows down (instead of just freaking out). Do you find yourself feeling like there's never enough time to get everything done? Do you need help with creating a schedule that really works well? Today on the podcast, we're talking about how to set your office hours. If you're giving away all of your time to everyone else, you're on a fast track to burning out. One of the biggest mistakes women make is not scheduling enough admin time. For every hour you spend in patient care, you need an hour of time scheduled for working on all of the other things in your practice. Have you been avoiding selling strategies in your practice because the thought makes you feel a bit queasy? Do you already know that you'd like patients to stay in your practice longer but you're not sure how to make that happen? Today on the podcast, we're talking about Sales Vs. Marketing. Do you know that you have too much on your plate? Are you wondering how much longer you can keep all the balls in the air? Today on the podcast, we're talking about Our Top 5 Things to Delegate. Are you ready for the clean slate that the New Year offers? Ready to make the most of this time to get clear and focused on your practice goals? Maybe you love the idea of an in-depth planning session—because, after all, you know the importance it’ll have in you actually reaching your goals—but don’t have a clue where to start? 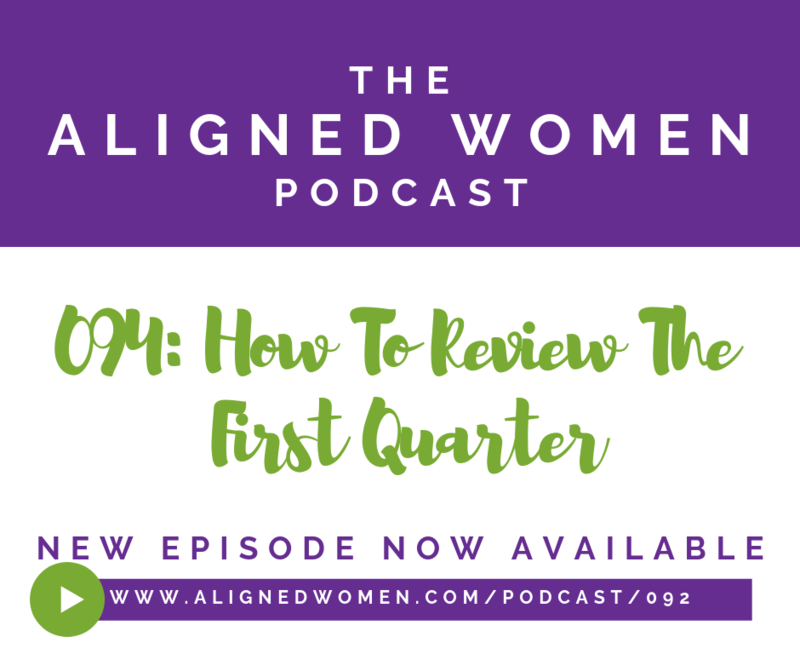 If you answered yes to these questions, this episode of The Aligned Women Podcast is for you! Today on the podcast, we're talking about how to conduct a New Year planning session! Mining the data from your business’s statistics. Creating a simple and easy marketing plan. Grab The Planning Your Year In Practice Guide! the Planning Your Year In Practice guide! After you’ve confirmed your subscription, you Planning Your Year In Practice guide will arrive straight to your inbox! Here’s to making it your best year ever!! Have you ever felt judged for the hours you work? Do you feel like you're doing the "mama chiropractor" thing wrong somehow? If you said yes to either of these questions, we have a special episode of the podcast for you today! 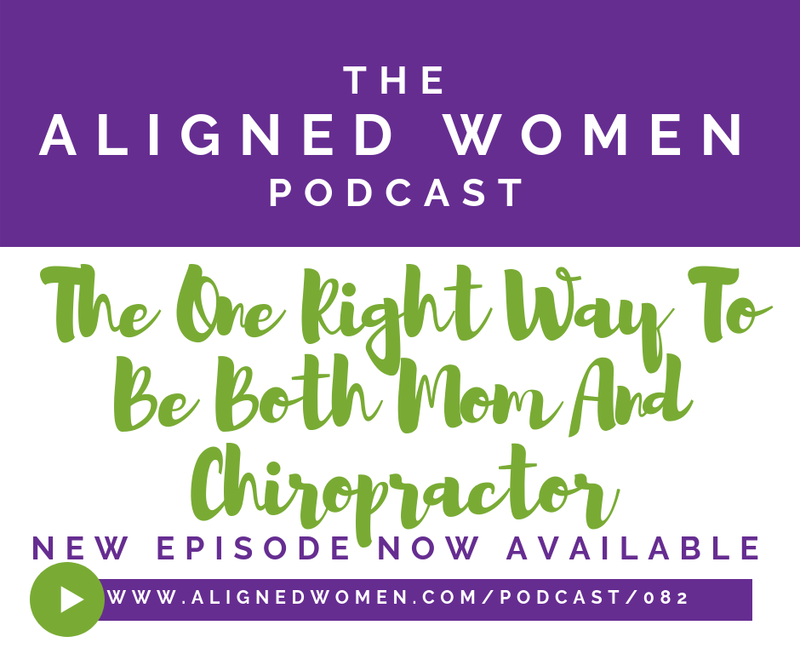 Today on the podcast, we're talking about the one right way to be both Mom and Chiropractor. If you're ready for support in overcoming the overwhelm of being both mom and practice owner, join the waitlist to learn more about Aligned Women membership today at www.alignedwomen.com/join. 080: Does A Small Practice Always Mean Small Money? Have you ever found yourself thinking that surely to earn a great living, you've gotta go BIG in your practice? Do you know that high volume isn't for you but still feel pressured into it because it seems the only way to make a great living? Today on the podcast, we're talking about how a small practice doesn’t always mean small money! What is YOUR definition of success in life and practice? Measure not by the volume but by the profit. You can be wildly profitable working part-time!